Since the dawn of the internet, security has been one of the most important segments that users need to be aware off. For decades services allow users to create passwords that would enable them to protect their accounts from unauthorized access by third parties. Decades after, the internet is still filled with people trying to gain access to other people’s accounts which is why internet security has become a more serious matter that uses need to be aware off. Regardless of how internet security has advanced over the past decades, creating a strong password for your account is still considered one of the best ways to keep your account safe. Creating one can sometimes be a challenge to most people mostly due to the fact that nowadays every single one of us has over a dozen accounts and creating a separate complicated password for each and breach and every one of them and remembering the same can be problematic. In recent years, a lot of password managers have started the service on the internet which in general are a good way of remembering your passwords, but if you are one of those that do not trust the managers and still want to keep your passwords in your head then you would need to find a way of creating multiple strong passwords in order to keep your account safe. In general, creating a password that’s short or consists of your name your date of birth or a combination of those is not considered a strong password. This also includes using the names or the dates of your loved ones including your dogs. In order to create a strong password you would need something that is longer has a combination of uppercase and lowercase characters and also includes numbers and signs. There are basically two ways that we would recommend for creating a password period one of them is creating a password using a batter and the other one is using a quote or something that you would never forget. Creating and password using one of these ways will help you remember your passwords without having to use a password manager and at the same time you will be able to have a strong password without using our generator that will create a password for you which will consist of random letters numbers and signs. The first way of creating a password is by using something that you would never forget. This can literally be anything any sentence or quotes that you have used or red or is your favorite which at the same time is something that even though other people now they would still not be able to guess your password. For example let’s use “ Mary had a little lamb its fleece was white as snow” is something to base or password on. If we are using a line from a song or a quotes we can use a specific algorithm for creating or passwords in this instance we’re going to use the first letters of each word to create our password. The password would be “Mhallifwwas”. Even though you think this might be a short password and it might not be safe rest assured it’s basically a string of random letters if you want to add an additional strength to this password you can replace certain letters with signs or numbers. For example you can replace “a” with “@” also you can replace “I” with “1”. Another way of creating a password is using a template. The template includes one part of the password that will remain the same across all accounts and the other parts you will be changed based on the account that you are using. For example let’s create a pattern for a password that we are going to use comma in this case we can try with something like Tech-Recipes+(account name)!. As you can see here we created a pattern using something that we will not forget, our website’s name, and as you can see in the brackets we have the account name. This means that whenever you will create a password for a certain account you will replace account name from the brackets and replace it with the account to which you want to change your password. So if you are creating a password for your Facebook account you will need to replace “account name” with “Facebook”. The same rule for adding signs instead of letters also applies here. For example you can replace the “S” from recipes with “5” also you can replace the “A” with “@”. These are the two most common ways of creating passwords which you will not forget and at the same time will provide you with the security required so that no one would be able to guess your password or use an outdated way of cracking passwords, as mentioned previously, bruteforce. If you use another way of creating a password please share it with us in the comment section and we will add it to this article. Q: I use multiple Gmail accounts how would I create a different password for each? A: Let’s say one of the accounts is your personal and the other one is your business accounts. On your personal account you can replace account name with Gmail personal period and on your business account you can replace account name with Gmail business. This is not a strict rule you can do whatever you want with the pattern you can even invent your own pattern as long as you find a way of remembering the pattern whenever you create multiple passwords for multiple accounts. Q: What should I do if the password that I created using the pattern is longer than what the service allows me? A: In this case if the service doesn’t allow you to use signs you will need to make some changes to the pattern in order to apply with the rules. For example if the password is too long using the pattern in the example in the article then instead of using Las Vegas you can use something else, or instead of using the full Facebook name you can use only FB. As mentioned, there are millions of ways and you can change these passwords, as long as you find a way of remembering them without having to use password manager. True, but the point of using these techniques is to have a password that would be easy to remember so that you don’t have to use password managers. In regards to generating passwords that are basically a string of random letters, numbers and characters you can find tons of websites that can do that in seconds. I know generating secure, and rememberable password which is difficult to crack and easy to remember can be complicated. 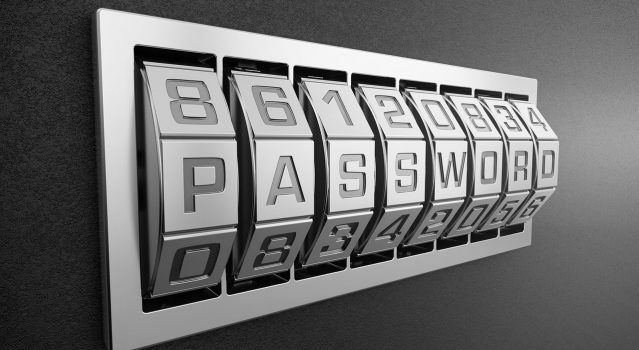 The best to check your password security is to test it with https://howsecureismypassword.io/. It tells you the strength of the password. But remember always use FAKE PASSWORD while checking the tool.